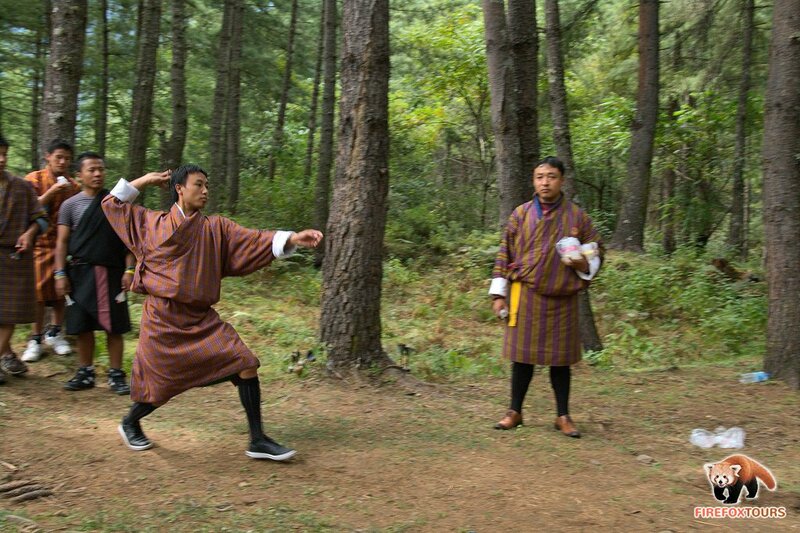 Apart from archery, the dart game called khuru is another extremely popular sport in Bhutan. 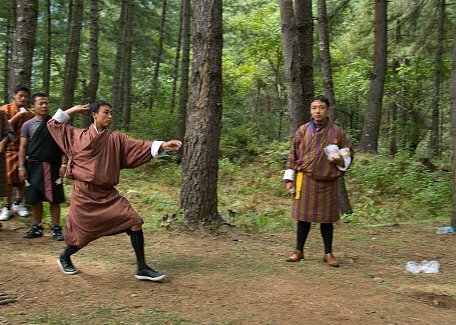 Nearly everyone plays khuru, as there is no need to buy expensive bow and game is easy enough for everyone. Heavy and large darts are thrown on quite respectable distance of about 30 meters on small bollard size target. It's not easy for beginner to give the hit but with little practice, you'll bet better quickly. Picnic with drinks and ladies dance performance is usually also the part of the event. We can arrange just private session with khuru, teach you the basics of the game and let you practice. 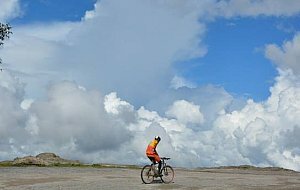 Or, in case of more deep interest, we can arrange a group of Bhutanese folks and arrange a real friendly match with you or your group.